In the early 1900s, the only way to start a car was to physically get out and crank it up. That was until the engineers at Cadillac decided a self-starting car needed to be made. 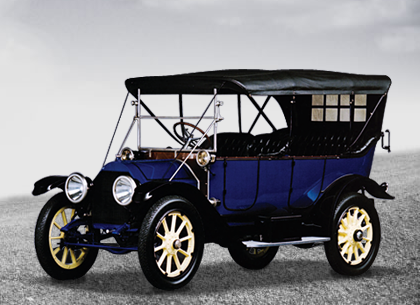 In 1910, Cadillac introduced the first electric self-starter, the Model Thirty, which also included electric lighting. This new innovation changed the way people used cars. Luxury was brought inside this new Cadillac – which introduced the concept of a “closed” interior. These changes also revolutionized driving for women and made Cadillac the only car manufacturer to win the Dewar trophy twice. Cadillac continues to revolutionize the luxury driving experience with the 2014 Cadillac ATS. With Bose active noise cancellation to make the cabin of the ATS as quiet as possible, Cadillac continues to bring total luxury into the cabin for the best driving experience.